I’m Nilesh Chikane live in Pune. I started https://www.blockchainvscrypto.com website to share my passion for Cryptocurrencies like Bitcoin and other altcoins. I’m very passionate about understanding new things in a crypto world like an upcoming project, a new development on blockchain technology I started my online career in 2016. The https://www.blockchainvscrypto.com is dedicated to reviewing all of the major Cryptocurrency exchanges by providing partial information about the services that they provide. Every exchange is different from another and they each have different strengths and weaknesses. https://www.blockchainvscrypto.com is a website to learn about cryptocurrencies, Crypto Exchanges, Cryptocurrency News, Cryptocurrency Investment, an upcoming ICO project in the crypto field much more regarding cryptocurrencies. 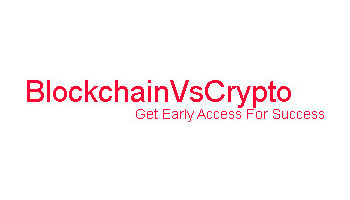 https://www.blockchainvscrypto.com also share information regarding Blockchain projects, Cryptocurrency Headlines, Coins update, Crypto Events, Bitcoin innovation, Cryptocurrency mining & Cryptocurrency price analysis on charts.